For many people at first glance, our Maasai beaded belts and dog collars may seem like just another a bright and colourful accessory. However, when you delve deeper into the symbolism and social meaning of the Maasai beadwork that goes into making these stunning products, we feel you will view them differently. 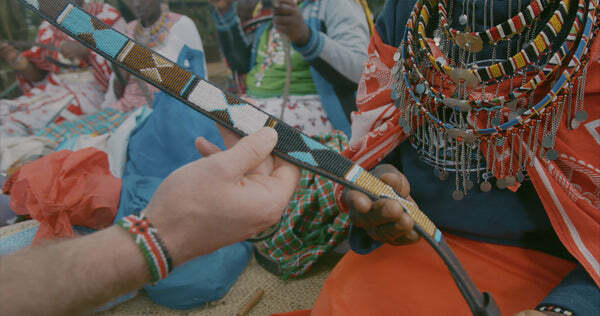 Maasai beadwork is a tradition of the Maasai tribe that dates back hundreds of years. 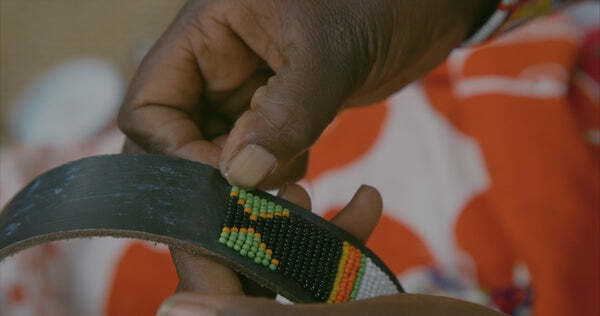 Beadwork is traditionally performed by Maasai women, and is considered their duty to learn and pass on to future generations as part of their heritage. The beadwork is worn by both Maasai men and women for numerous significant social events such as: weddings and rituals. The beadwork accompanies the Maasai tribesmen and women through all stages of their lives. 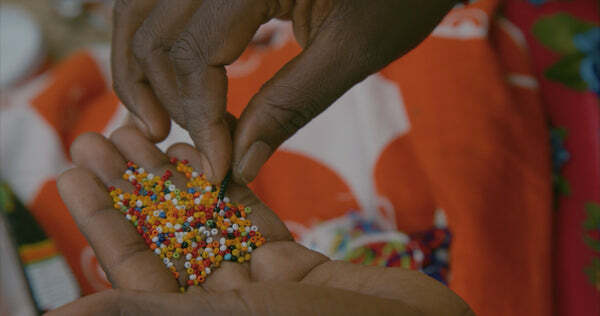 The colours and structures of the beading can indicate age, social status, marital status, and even whether a woman has given birth to a baby boy or girl. Glass beads were not the original material used by the Maasai. Historically, Maasai women used dried grass, sticks, clay, seeds and shells as materials. Over time, as trade with other communities increased be beads were made from glass and plastic; today this is the most common source of the beads. Although the materials have changed the method has remained the same. 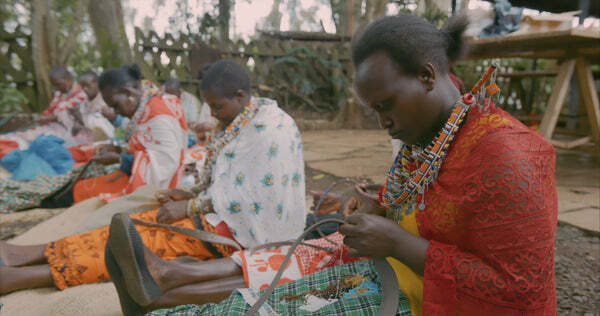 After the leather is cut (by machine), every part of the process is completely handmade by the Maasai mamas. It takes on average 2 days to complete just one medium sized belt. All materials are locally sourced in Kenya. The buckles we use are sourced locally from a man living outside of Nairobi, who hand casts the buckles out of recycled brass. 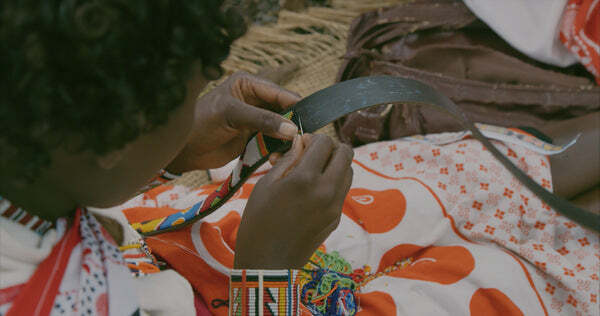 Step 1 - ‘Top Grain’ leather is cut into strips and given to the Maasai mamas to start the beadwork. The mamas find it more comfortable to do the beadwork sitting on the floor, as this is how they have been taught to bead whilst growing up. Step 2 – The mamas puncture the leather all the way through with individual holes. This involves strength, extremely tough fingers and precision to keep the holes consistent. Step 3 – The beads are selected and collected by hand onto a needle and attached to the leather via the holes that have been created. The mamas are extremely skilled at keeping the order of the beads correct so they follow the design correctly. Step 4 – The beads are placed precisely in the correct order to follow the design, and made sure they are tightly bound together with the leather so they do not come loose when worn. 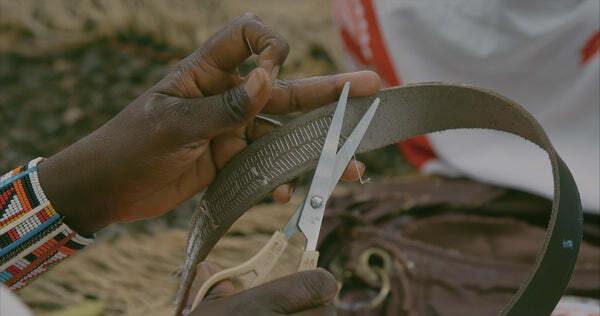 Step 5 – The loose threads are cut and neatened up before the back strip of leather is added, glued and hand stitched to complete the belt production. Step 6 – We check the design, toughness, and quality of every belt before they are ready for market. 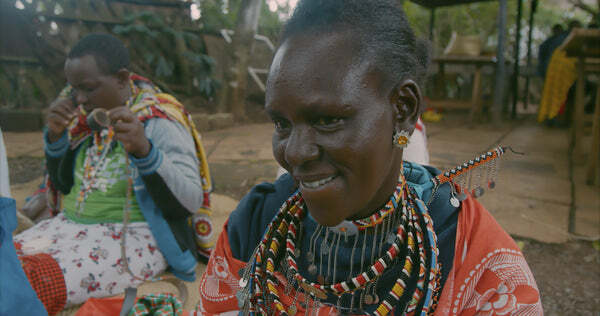 Step 7 – The proud face of a Maasai mama after 2 days of hand beading to complete a masterpiece!